Members of the workshop group elaborate on concepts during the workshop “Reduce CO2 - With technology to zero emissions” at the 3rd Holcim Forum. A research paper that extends the discussion of the workshop “Reduce CO2 from buildings with technology to zero emissions” from the 3rd International Holcim Forum has been published. 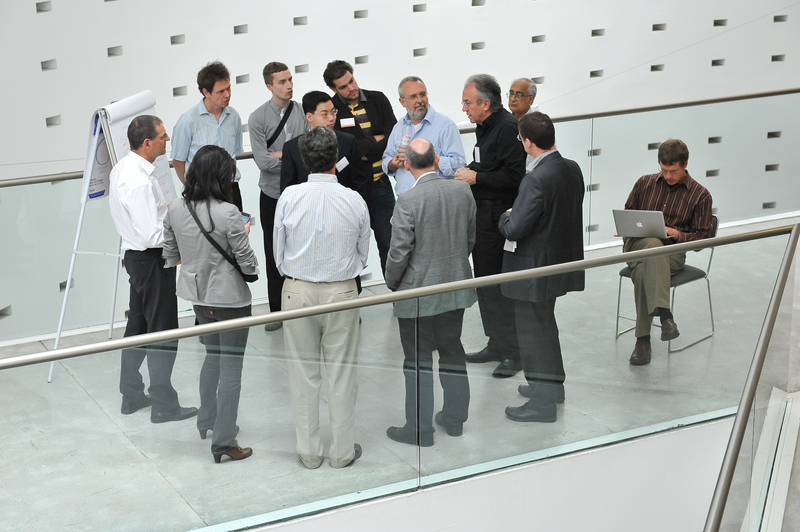 The three-day conference was conducted at the Universidad Iberoamericana in April 2010 in Mexico City, where some 270 participants from 39 countries examined new approaches to “Re-inventing Construction”. Meggers, F., H. Leibundgut, S. Kennedy, M. Qin, M. Schlaich, W. Sobek and M. Shukuya. 2012. Reduce CO2 from buildings with technology to zero emissions. Sustainable Cities and Society. 2 (1): 29-36. This paper represents a unique collaboration between experts in architecture and engineering from around the globe to evaluate the true potential to reduce CO2 emissions from buildings. 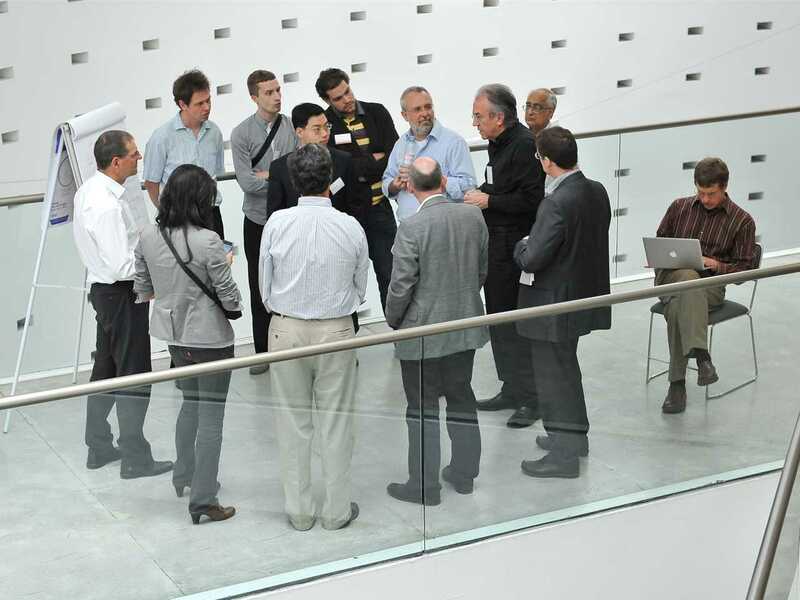 The result of this experiment in remote collaboration between Europe, USA, Japan and China, was a summary that was generated for the Holcim Forum workshop, “Reduce CO2 – With technology to zero emissions.” This covers challenges of reducing emissions from building construction, operation and maintenance while also presenting an array of potential solutions. Here we expand on that work for the benefit of a broader audience. The paper covers the overall problem of building emissions, both direct and indirect. It discusses the often-overlooked impacts of building material use. It also reviews the problems related directly to building CO2 emissions and energy consumption, as well as new analysis methods for better system design. Finally, many new processes are discussed that have the potential to drastically reduce building CO2 production to nearly zero. In summary we encourage new perspectives that increase the utilization of new methods and systems, thereby providing examples of technological groundwork that can incite new policy to reduce building CO2 emissions. The 4th International Holcim Forum for Sustainable Construction on the topic of “Economy of Sustainable Construction” will be held at the Indian Institute of Technology (IIT Bombay), Mumbai, April 11-13, 2013. Further information including a detailed overview of the theme, keynote speakers, workshop topics, mobile workshops and registration will be announced later in the year.